WSM 650-AM will launch a weekly Americana program on Oct. 14 called “Music City Roots: Live From The Loveless Cafe,” with the debut show featuring icon Emmylou Harris, acclaimed duo Pam Rose and Mary Ann Kennedy, as well as emerging artists Annie Crane and Robin Ainger. With a long history of live broadcasts, WSM will air the show Wednesday nights from 7 – 9 p.m. live from the Loveless Barn. Artists committed to performing in the opening months include Sam Bush, Radney Foster, John Cowan, Dexter Romweber, Dale Ann Bradley, Peter Bradley Adams, Mike Farris, Scott Miller and Webb Wilder. Each broadcast will feature three to four artists in 30-minute segments, followed by a free-form “Loveless Jam” where all the artists and their bands will be invited to collaborate on the fly. The show will be produced by Todd Mayo, founder of Music City Media and WSM-AM radio show Bluegrass Underground. 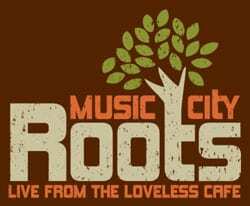 “Music City Roots: Live from the Loveless Cafe” will be emceed by legendary WSM-650 AM broadcaster Eddie Stubbs, guest hosted by artist Jim Lauderdale, and writer/NPR contributor/String Theory Media owner Craig Havighurst will interview the artists. Audio of the shows will be streamed live on WSMonline.com, where they will also be archived for streaming on demand. “Music City Roots: Live From the Loveless Cafe” will also be syndicated internationally. Tickets are $10 or $5 with a student ID. They are available in advance at Grimey’s New and Pre-loved Music (1604 8th Ave. S) or online at www.musiccityroots.com. Tickets may also be purchased in advance or on-site at the Loveless Barn.